JMB Travel is the specialist for activity holidays in Bulgaria. We provide the broadest choice of activities in Bulgaria: outdoor, nature, adventure, sports, extreme, arts and crafts, for individuals, families, groups, company team building and incentive trips. Ski and snowboard and many winter activities: snowboarding, downhill and cross country ski, skidoo snowmobile, winter horse riding, sleigh rides and the special active winter family holiday in Bulgaria. We have experience organsing a broad range of activities in Bulgaria. We also create bespoke active team building weekends and school holidays that integrate art and nature activities. 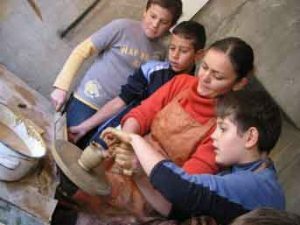 For families we have a special multi-activity holiday in Bulgaria where you can combine art and nature activties to fit the age and interests of the children and parents.